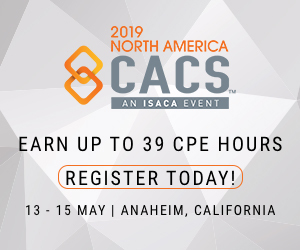 Course Registration & Costs coming soon. Brochure (PDF) available for download. Select the Join Today button to see membership options and join our local Victoria Chapter. 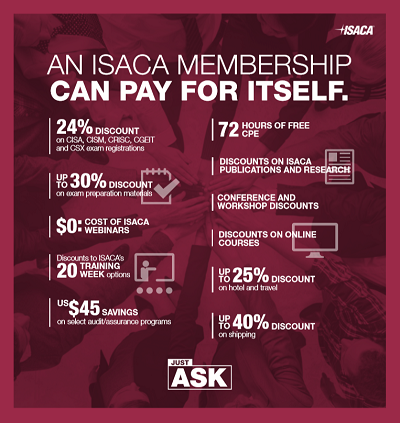 Download the ISACA Membership Perks via PDF by clicking on the image. For copies of these Fall presentations, members can login and access them from our Members Only - Chapter Library.